John Milaski grew up in upstate New York, and is married with two sons and one daughter. He joins Miloff Aubuchon Realty Group, bringing with him an international business perspective coupled with local expertise. John is passionate about SW Florida and the sunny, beach-friendly lifestyle. After 20 years residing in Cape Harbour, a premier waterfront and yachting community in Cape Coral, John is an expert when it comes to finding you the right waterfront property. His prior business career in sales and management consulting has taken him all over the world, where he developed strong relationships with top level Fortune 100 executives and negotiated multi-million dollar individual sales and services contracts. John has both invested in and managed luxury waterfront properties throughout the area. This experience allows him to understand the desires of both first-time buyers and seasoned investors. John’s enthusiasm creates a unique approach to real estate, and he is wholeheartedly committed to serving his clients by helping them realize their real estate objectives. If you’re looking to purchase new construction, John is also a certified New Home Specialist who can guide you when choosing the custom-built home of your dreams. He has earned a strong reputation as a highly motivated sales professional with a charismatic personality and excellent negotiation skills. John eagerly looks forward to the opportunity of helping you in any way he can. If you are looking for a trustworthy person with many years of sales experience whose goal is to ensure client satisfaction, contact John at 239.314.8016, or via email, jmilaski@miloffaubuchonrealty.com. Accredited Buyers Representative® (ABR) – ABR designees have documented experience in working directly with buyers at every stage of the home buying process and have access to resources and tools that can further demonstrate excellence in representing buyers. Certified International Property Specialist (CIPS) – The CIPS designation is the only international designation recognized by the National Association of REALTORS®. Global transactions are significantly different and more complex than domestic deals. From currency issues and financing to visa and tax laws, working with a REALTOR® who knows how to handle these differences can make or break a real estate transaction. Seller Representative Specialist (SRS) – the premier credential in seller representation. It is designed to elevate professional standards and enhance personal performance. The designation is awarded to real estate practitioners by the Real Estate Business Institute (REBI) who meet specific educational and practical experience criteria. e-PRO® – The e-PRO® certification allows buyers and sellers to have confidence in the ability of a REALTOR® who specializes in effectively using advanced real estate technology to provide exceptional service, grow their business and make the whole real estate transaction process more streamlined and efficient. GREEN® – GREEN designees are trained in helping clients evaluate the cost/benefits of resource-efficient features and practices, listing and marketing green homes and buildings, and understanding how buyer and seller preferences may be inspired by resource-efficiency. Certified At Home with Diversity® (AHWD) with National Association of Realtors, conveys to clients they are working with a dynamic real estate professional with expertise that transcends cultural barriers. Certified Seniors Real Estate Specialist® (SRES) with National Association of Realtors, conveys to clients they are working with a real estate professional with expertise that understands what motivates the largest and wealthiest buyers group in the country. PMN – The Performance Management Network (PMN) is a next-generation REALTOR® designation designed from the ground up to deliver the real-world skills, know-how and tools to keep an agent’s business out front and on top of an evolving real estate market. PMN curriculum is driven by the following topics: negotiating strategies and tactics, networking and referrals, business planning and systems, personal performance management and cultural differences in buying and selling. Platinum Level recipient of the Royal Palm Coast Realtor® Association’s Five Star Education Award, recognizing the top five Association members for professional education and specific REALTOR® activity that ultimately results in superior service to clients and fellow REALTORS®. John has been recognized as a Top Leading Real Estate Broker Associate and Inner Circle Executive with Continental Who’s Who. 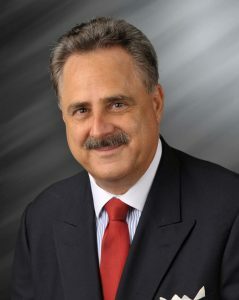 John also has earned the highest award level within Continental Who’s Who, at the Lifetime Pinnacle Professional Level. Continental is one of the most trusted publishers around the globe. They spotlight select professionals each year by their specific industry. The men and women published represent every important field of endeavor. Included are executives and officials in business, science, education, philanthropy, religion, government, real estate, finance, law, engineering, and many other fields. John is the BEST! He was our realtor for both purchasing a lot and then building our dream home. We built long distance, so John kept us completely informed about what was going on and would send pictures frequently to keep us in the loop. He came to every meeting we had with the builder and also gave us some suggestions in the designing/building of our home. He knows his “stuff” and has a very thorough knowledge of the area. We still go to him when we need information on the local area. We have already recommended him to several people and will continue to do so. You can’t go wrong here… he will look out for your best interests and he listens to your needs so he understands what you want. Give him a call!!! This is the first time that we have used John after having a bad experience with another realtor. No one could be more accommodating whenever we asked to see a house. And once the house was under contract, I have never had a realtor who spent so much time and effort gathering bids for repairs, insurance, etc. and obtaining contractors for planned changes than John. We were so impressed that we asked him to list our old house. I cannot recommend John more highly! John is a highly professional realtor who made the selling of our property a breeze. He negotiated top dollar for us with his superb negotiation skills. He knows the area well since he’s lived here almost 20 years. Who would have thought that selling property could be fun? He’s got loads of experience and is great to work with. We’ll never use anyone else ever again. He’s the best there is!!! We VERY HIGHLY recommend using John Milaski for buying or selling a property here in southwest Florida. John is highly dedicated to his clients. He always worked with our best interests first, making sure that all the bases were covered. He went above and beyond to make sure we were comfortable with our purchase. When we began our search, were were originally looking at older homes (many of which required upgrades). He knew all of the in’s and out’s of waterfront homes, and when we had a question he couldn’t answer (eg., roofing), he sought out the answer from a professional. He even helped us to get quotes for repair services on properties we were looking to purchase. Not only will we use again, we would highly recommend him to any future client. I have never worked with anyone more honest, knowledgeable and diligent in the real estate profession. John is a true professional with a focus on service and follow-up. His corporate business experience with IBM really paid off during the negotiation process in the sale of my home. He also did a great job marketing the property! I would highly recommend John to any potential client!! John is a true professional. He assisted us with the purchase of a home. He pays close attention to detail, is well organized, responds quickly to requests and is extremely knowledgeable. He handles issues with skill, tact, and excellent judgement. He is highly recommended if you are looking for a realtor.